it also seems targeted more towards adults which I also like! 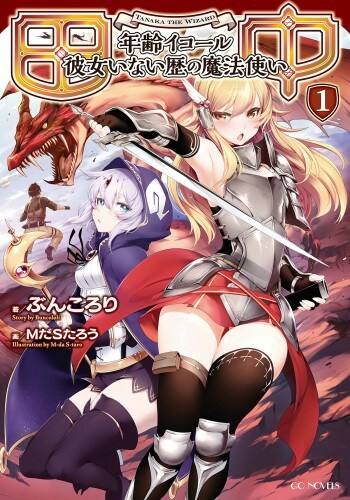 The Covers too are pretty neat with a medieval looking feel to it! Transplanting my post from 10 months ago about this series in the old free for all thread. Would something Rated R/Adult be off the table? I'm not sure if the following is a possibility due to content/publisher/target demo but I would love to see Tanaka The Wizard picked up by JNC. Has anyone else even heard of the title? An unimpressive looking middle aged man is transported to another world with his original appearance. He ends up just wanting a simple life and to own a house but of course some situation drags him into the middle of something. His fetishes and inner thoughts are sometimes a bit extreme but does the right thing for those he cares about. What I have read in fan translations of the web novel a lot of the supporting cast seem to have "unique" personalities to contrast their typical appearance. I've seen the illustrations and in Vol 1, the MC seems to take advantage of a situation if you know what I mean. So this is another one of those PG13 harem light novels where protagonist gets a gaggle of girls but never lays a hand on them? Moreover, the reasoning for that is kinda silly. Pass pass pass pass pass pass pass. @drone205 but in later volume he lets himself get roped into pointless encounters.